It’s been almost two weeks since hundreds of partygoers squeezed into The Sandbar Sports Grill in Key West, Fla., but the impact from the annual OffshoreOnly.com/Speedonthewater.com Key West Bash will last well beyond that night, this month and even this year thanks to the very generous group of boaters—and sponsors—who came out in droves for the celebration. And really, despite all of the catching up with friends, sharing of boating stories and the variety of free food and drinks available, that is what it’s all about, or at least what it has evolved into. With more than double what was raised in 2017 for Samuel’s House, a local non-profit organization that provides housing and supportive services to the homeless in their time of need while assisting them in becoming self-sufficient, all of us involved with organizing the party—Yvonne Aleman, Greg Harris, Matt Trulio and myself—are thankful for everyone who had a hand in raising $20,000-plus dollars for the charity. To keep things simple, I’ll start by thanking the sponsors. 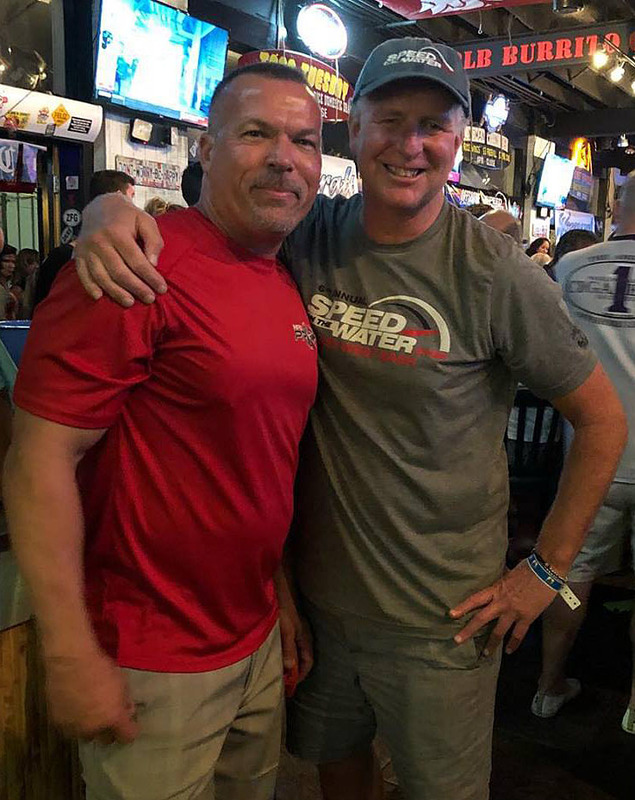 Obviously it wouldn’t be possible without a team of people at OSO and SOTW promoting and hosting the event, but it goes well beyond them thanks to major sponsors such as Wozencraft Insurance, Sterling Performance Engines, Mercury Racing and more. The best part about the sponsors involved with the event is that they participate in it as well. Looking around the restaurant on Thursday night was proof of that as you could rub elbows with Devin Wozencraft and Tanah Kinsey or Wozencraft Insurance, Bob Teague of Teague Custom Marine, Chris Mills of Boat Customs, Justin Wagner of Waves and Wheels and Bluave Marine Audio, Mike D’Anniballe of Sterling, Randy Scism and Tim Gallagher of MTI, not to mention many other notable industry folks such as Brett Manire and Mark Waddington of Performance Boat Center, John Cosker and Greg Weber of Mystic Powerboats and Dan Kleitz of Outerlimits. 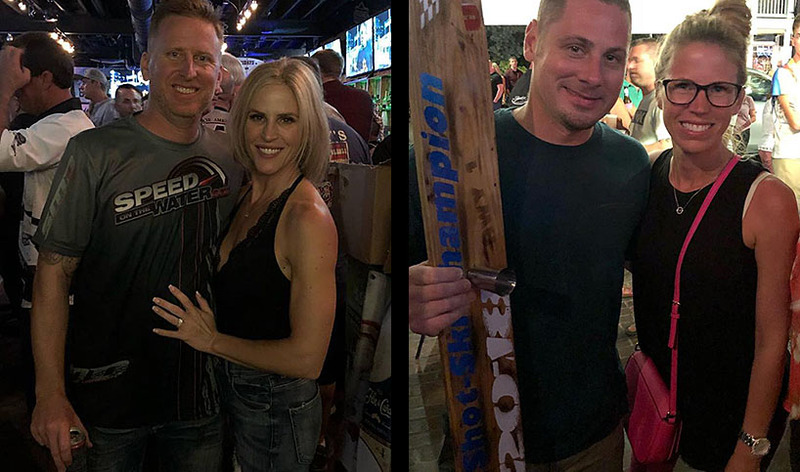 Based on the “notable” attendees who come year after year, it’s clear the party has morphed into an incredible evening with some of the friendliest faces in town enjoying some of the best drinks in Key West and raising money for one of the most worthwhile charities in the Florida Keys. On that note, I say thank you to each and every one of you who showed up to the Key West Bash, said hello, bought raffle tickets, bid on the auction, wore a previous party shirt and helped make the night a memorable one. Of course without the auction and raffle items, it would be nearly impossible to raise money for Samuel’s House. So, in alphabetical order, I need to thank BBlades, Bio-Kleen, Bluave Marine Audio, Boat Customs, Cassie Kerns, Lifeline Race Gear, Marine Technology Inc., Mercury Racing, Peacock Family Vineyard, ProMarine RC, STR Components and Teague Custom Marine. And last but not least, thank you to the organizations—all of which are charity driven in their own right and own community—that donated event entries, experiences and more to help us raise even more money. Included in that list are the 1000 Islands Charity Poker Run, the Boyne Thunder Poker Run, the Hartwell Lake Poker Run and the Lake Cumberland Thunder Run. 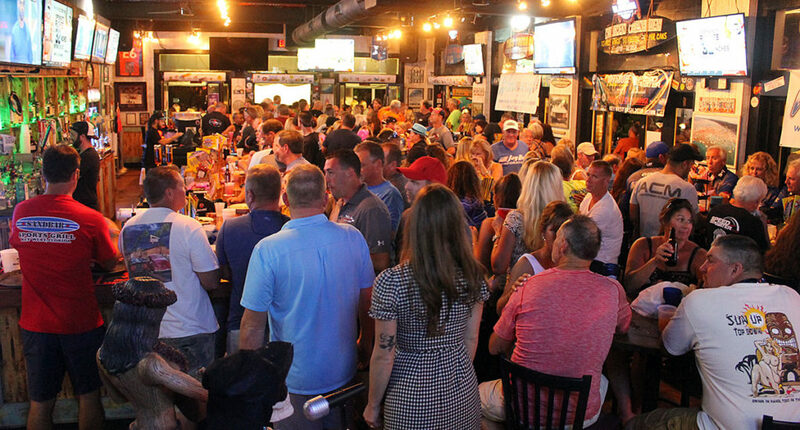 Once again, thank you to everyone who had a hand in this year’s Key West Bash. We’ll see you in 2019. Pingback: всенародный опрос при решении особо важных вопросов в жизни государства.